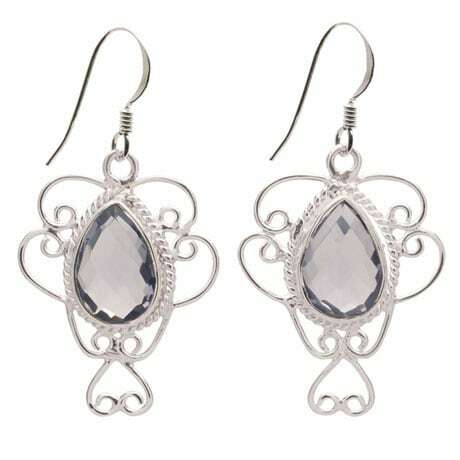 Fit for a queen's jewelry box, styled for your everyday reign. 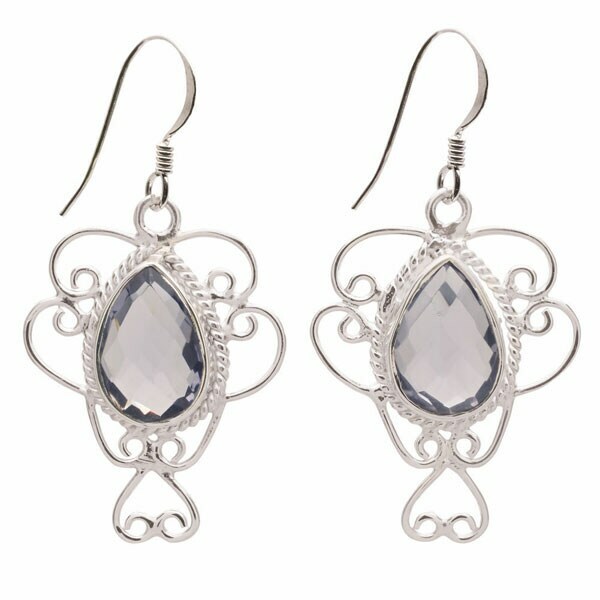 Our divine teardrop iolite stones are set amidst dainty sterling swirls; the gorgeous effect sparkles as you move. On French-hook earwires hanging 1½" overall.